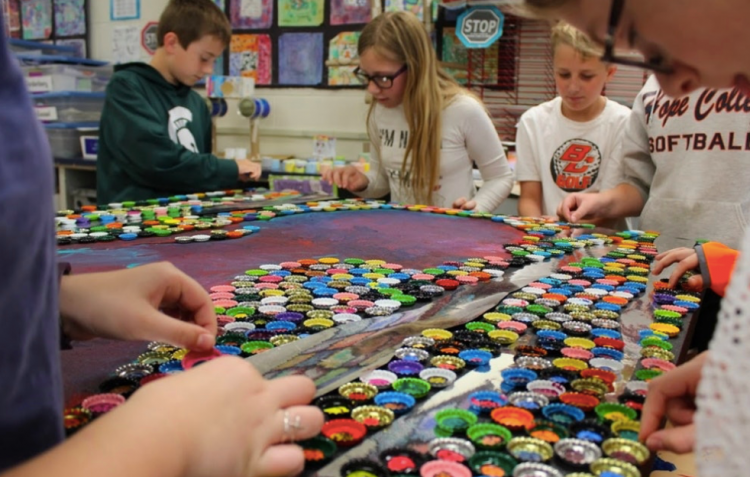 In partnership with Western Michigan University, ArtPrize 10 will hold the Youth Collaboration Award this fall to provide youth under the age of 18 the opportunity to participate in the competition. 20 school groups from across the Midwest, and even from Haiti, will be participating in the awards category, competing for two separate cash prizes: $2,500 awarded by public vote, and $2,500 awarded by jury. 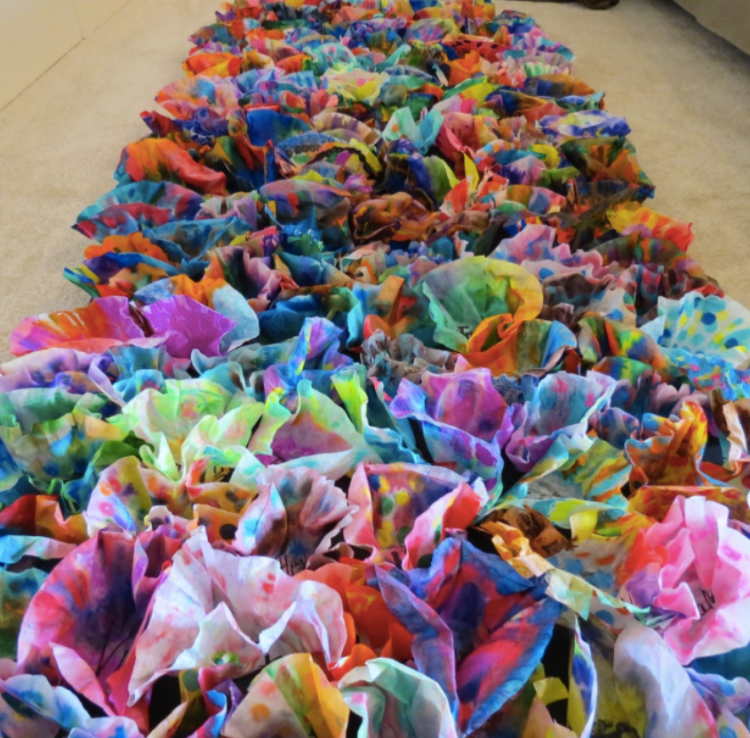 Schools and education-based nonprofits serving K-12 youth were invited to enter a collaborative piece created by at least two students under the age of 18. 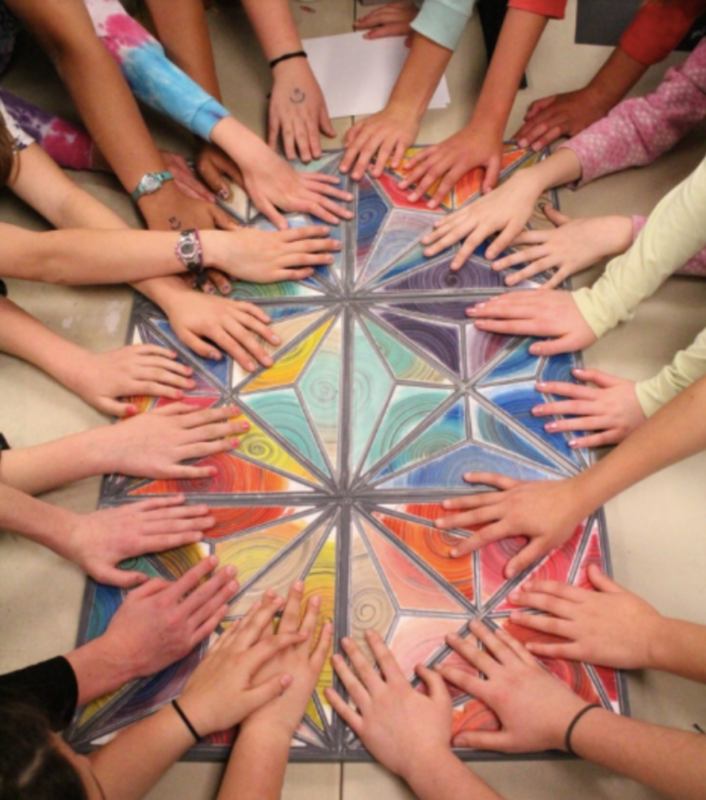 Each school group is under the guidance of an art educator or school-affiliated mentor. This year’s Youth Collaboration Award entries focus on an array of creative themes and span from elementary- to high school-aged students. Large-scale installations, 2-D collaborative paintings and 3-D sculptures are just a few of the mediums students created for the competition. Photo by Molly Marshall (Byron Center Public Schools), "Reflecting Silhouettes"
Be sure to check out each of the entries during ArtPrize 10 and vote for your favorite to win the public vote!